As an independent practitioner with limited staff, many colleagues often ask me how I keep up to date with new developments? Part of my secret is that I don’t sleep much, but the other part is that I’m constantly looking for ways that technology can make me more efficient. So I’m thrilled about this recent announcement by Fast Case‘s new and FREE Advance Sheets, in ebook form suitable for reading on most mobile devices. With the new Advance Sheet readers, practitioners like me can scan them for new case issuances or search by term for recent decisions on topics of interest to our practice. Surprisingly, there aren’t many comparable options for economically staying up to date with new cases. Ordinarily Advance Sheets cost around $850/year for a subscription. And while many courts now offer RSS feeds of newly issued decisions, it’s cumbersome to scroll through all or search by topic. Fast Case Advance Sheets elegantly solves both problems. With Fast Case Advance Sheets, I look forward to tracking new energy-related issuances, from FERC appeals at the various federal circuits to district court rulings on eminent domain in natural gas cases to other decisions that relate to green energy, social media in regulated industries, Section 1983 rulings and all of the other cases of first impression and last resort that I focus on in my practice. Given that I’ll have all of the decisions at my fingertips, it shouldn’t be difficult. Since one of my goals is to make complex energy regulatory matters accessible to a broad sector of companies, I’m deeply appreciative of companies like FastCase with a mission of making case law more broadly accessible and affordable. 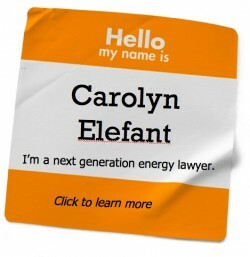 Here’s a hearty thank you from this next-generation energy lawyer to Fast Case, a next-generation legal research company! 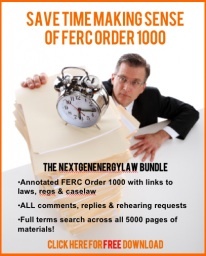 Next post: What’s Next for FERC Order No. 1000?